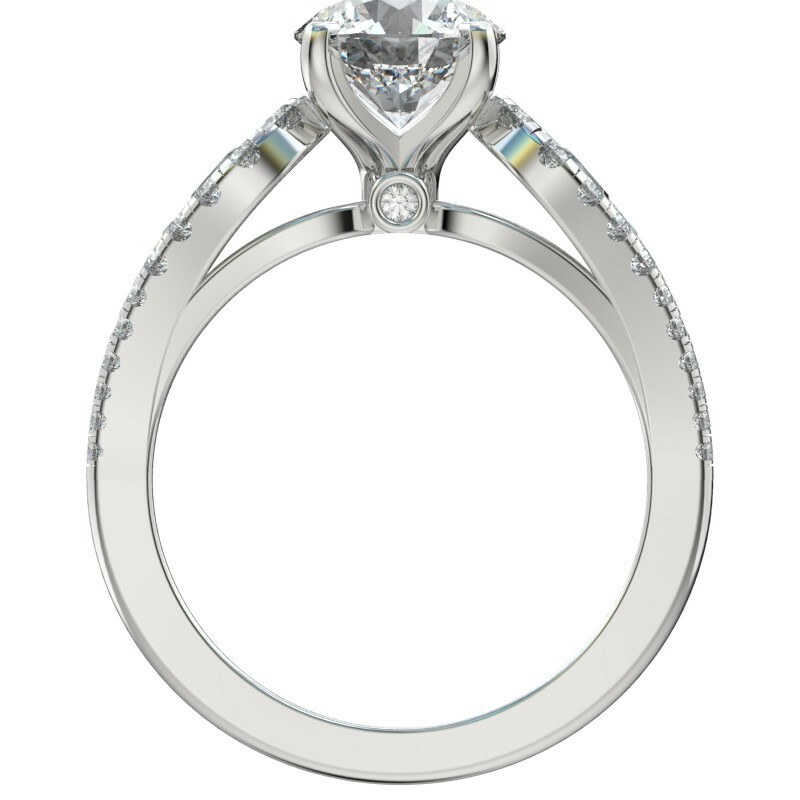 This split shank engagement ring has split prong scalloped set diamonds along with a 4mm x 2.5mm pear shaped diamond in between each of the rounded openings to flank the center stone. The ring price includes the two matching 4mm x 2.5mm pear shaped diamonds. This split shank engagement ring has split prong scalloped set diamonds along with a 4mm x 2.5mm pear shaped diamond in between each of the rounded openings to flank the center stone. The ring price includes the two matching 4mm x 2.5mm pear shaped diamonds. 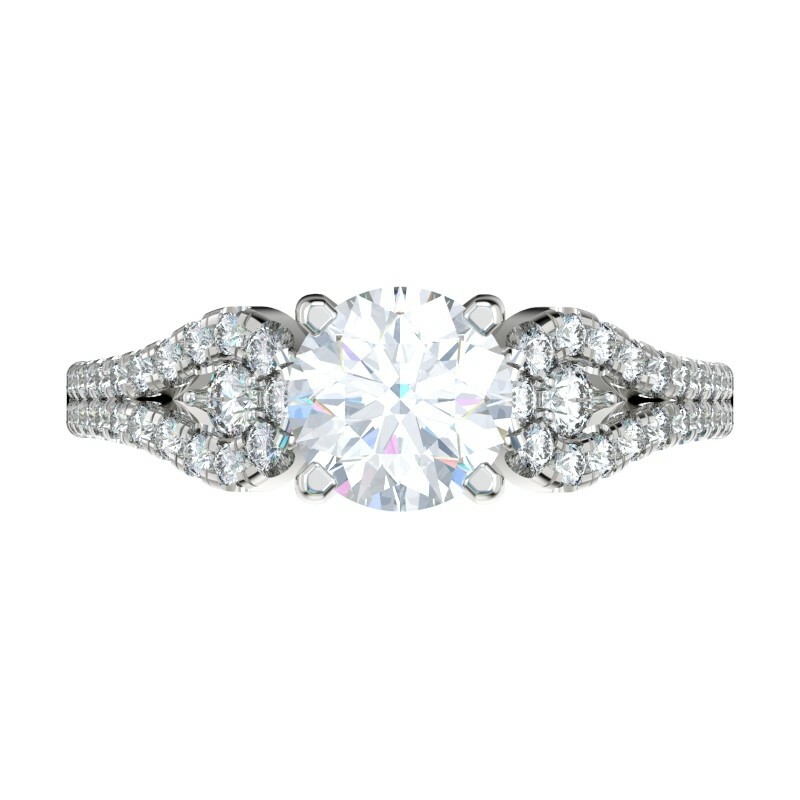 The setting is available in Platinum, White Gold (14K or 18K), Yellow Gold (14K or 18K) or Rose Gold (14K) and accommodates round diamonds from .50ct and above. Note: The default ring price is for platinum and includes the matching pair of 5mm x 3mm pear shaped side diamonds. 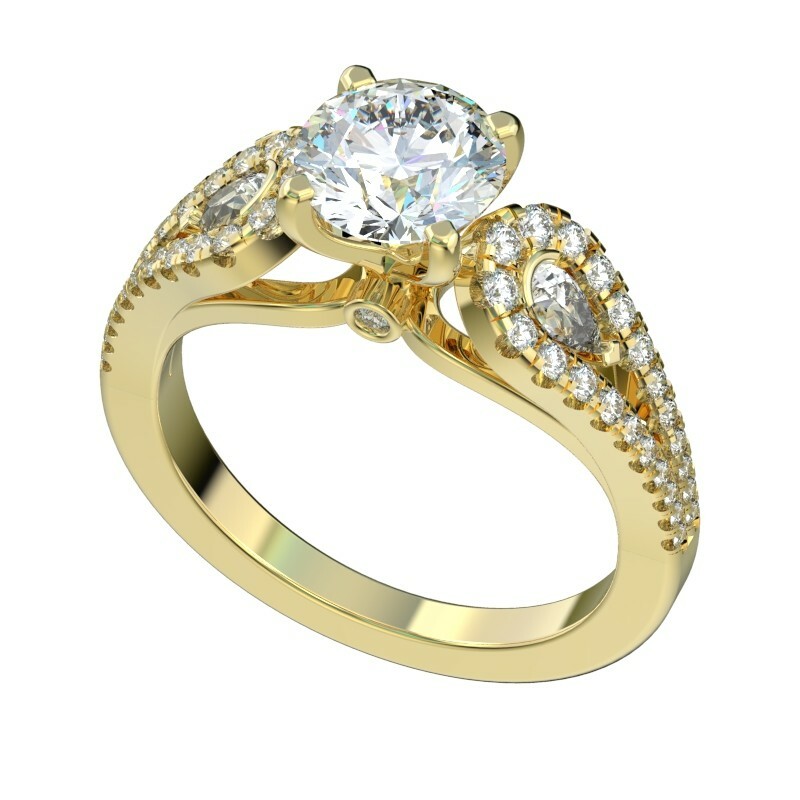 The center stone is not included with the price of the setting. Please email or call to speak with a consultant if you would like to modify the size, color or clarity of the matching side diamonds.